Here’s some more ideas to make your life easier and tastier. Enjoy! There’s almost nothing better than a really tasty slab of roasted chicken, right? Well, except if it’s all dry and blah and disappointing. I have the solution for you; BRINE! Yup, brine that bird! All you have to do is soak it in a salt solution for at least an hour before cooking and then prepare yourself to be forever altered. I use the actual roasting pan to brine, and turn the chicken over after an hour. Then when you go to do the actual cooking, pour most of the liquid out, but leave about an inch in the bottom. You’ll never have burnt-on drippings again! Here’s what I put in my brine: garlic salt, garlic cloves, herbs de provence, and some fresh rosemary from the garden. I stirred it all up in the roasting pan til it tasted pretty good and then put the bird in. let it sit for an hour on one side, then turn and leave it in for another hour. Pour out a bunch of the water and throw it in the oven at 350 for about an hour, til golden brown. If you’re around, drizzle some of that brine juice over the chicken every now and then while it’s cooking. You’ll know it’s done when you poke a knife in around drumstick joint and the juice runs out clear, not pink. Take it out and let it cool. Now it’s all yours, slice it, shred it, admire it, have your way with it. You are now the proud owner of a bunch of delicious chicken! You’re welcome. Sweet potatoes are one of my favorite starches. 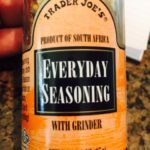 They’re super versatile, delicious, always in season, and cheap! Not to mention, they’re rich in complex carbs, fiber, and super rich in Vitamins A and C. What more could you want?!?!? So, here’s the thing…you’re already roasting a chicken, so why not throw a sweet potato or two in for good measure? The oven’s on, make use of that power! Rinse them and wrap them in foil and throw them in! That’s it, that easy. When the chicken is done, the sweet potatoes should be done, but if they’re not tender, you can leave them in a bit longer, or finish them in the microwave. When they’re cool, unwrap the foil and peel the skin off, either with a knife or your hands. Depends on how messy you want to get. Now you can either chop it up into bite sized chunks, mash it, or slice it up. While we’re on the oven roasting theme thing, let’s throw some asparagus in, shall we? Just so you know, asparagus is actually one of my very favorite veggies! Not sure exactly why, I love them all, but there’s something magically delicious about asparagus. Plus, it makes your pee smell funny. Too much? sorry. #sorrynotsorry. After you’ve dealt with your chicken and your sweet potatoes, grab that bunch of asparagus. Break each stalk where it wants to break, this will insure that you won’t have super tough ends. Line a baking sheet with foil and lay the stalks out. Drizzle some olive oil, garlic salt, and whatever all other seasonings you want. 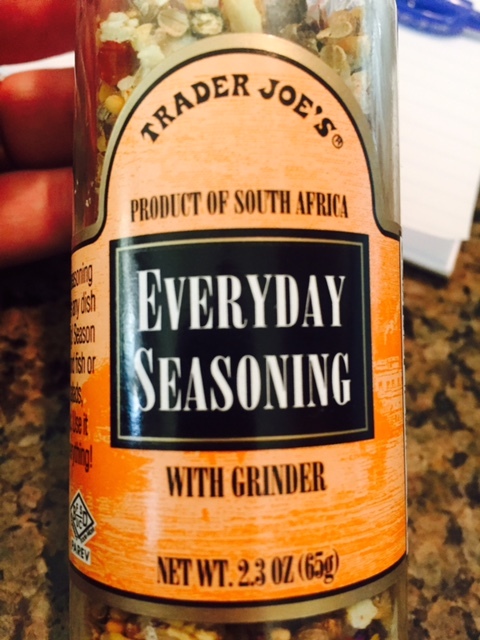 I <3 Trader Joe’s “Everyday Seasoning”. It’s amazing. Try it. Okay, now put this delicious mess into the oven with the other good stuff. It won’t need nearly as long as the chicken or potatoes, maybe about 30 minutes. Pull them out and partake in the goodness. 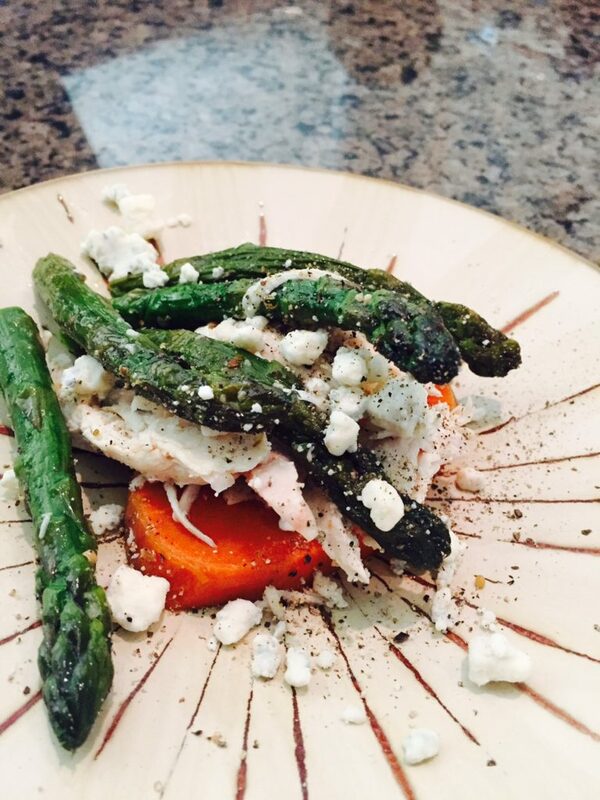 Dinner: you’ve cooked yourself a whole chicken, now put some sweet potatoes and asparagus alongside it and enjoy! You’re done! Get fancy and make it a tower, if you dare! Chicken Sandwich: pile the chicken on some really good bread along with some good mustard, your favorite cheese, greens, pepperoncinis, and enjoy! Chicken Burritos: Roll the chicken up in a big tortilla with some cheddar cheese, black beans from over here, salsa, and whatever else you like in your burros! Tortillas and whatever all other burrito decorations you dig. Brine! I always forget but am ready to transform my chicken experience. 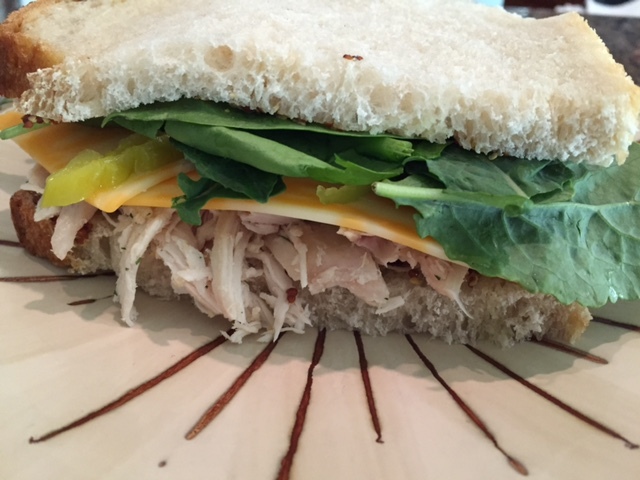 Yum – and thank you, Chef Annie!!!! !